Visit one of our affordable dentists in Cuernavaca, the City of Eternal Spring, and experience top-quality dental care in a location frequented by the rich and famous. An upmarket destination, it’s only 45 minutes south of Mexico City, but its location on the southern slope of the Chichinautzin mountains means temperatures are fairly constant in the 70s (F) - so it never gets too hot. Cuernavaca is derived from a phrase meaning ‘surrounded by trees,’ and its verdant countryside has long been a popular retreat for people from Mexico City to escape the heat, crowds and pollution. Within commuting distance of the Capital, it is a highly desirable place to live and has attracted royalty, nobles and the well-off since Aztec times. It has a fascinating history, and at one of the oldest colonial buildings in the city, the Palace of Cortes, the Cauhnahuac Museum is now housed preserving the state’s history dating from pre-Hispanic times to the Agrarian revolution. 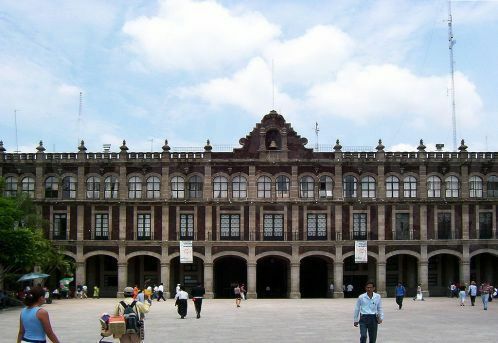 The historic center includes notable architecture, including the UNESCO listed Cathedral - one of the 14 monasteries listed on the slopes of Popocatepetl; well-kept squares that are the hub of city life with a myriad of restaurants, cafes and bars and tranquil gardens providing options to watch the world go by. Cuernavaca is steeped in history, but offers 21st century services, amenities and pursuits which blend seamlessly with its ancient past. 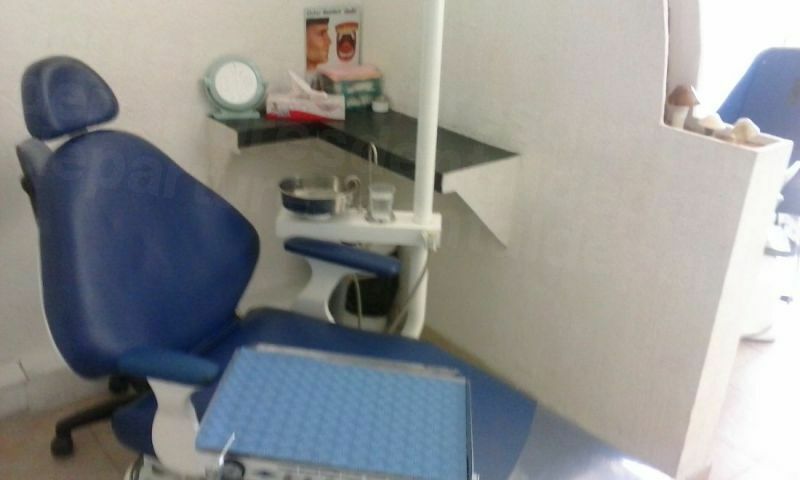 Patients visiting for dental care will find medical and dental facilities in Cuernavaca to be considerably less expensive than in the United States and Canada, but with no concession on the quality of treatment. 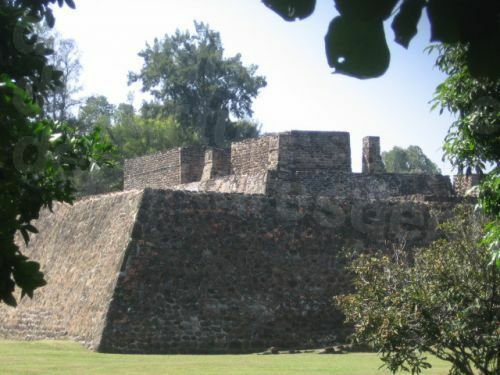 Cuernavaca is in the state of Morelos, central Mexico. It is around 54 miles (90 kilometers) south of Mexico City. 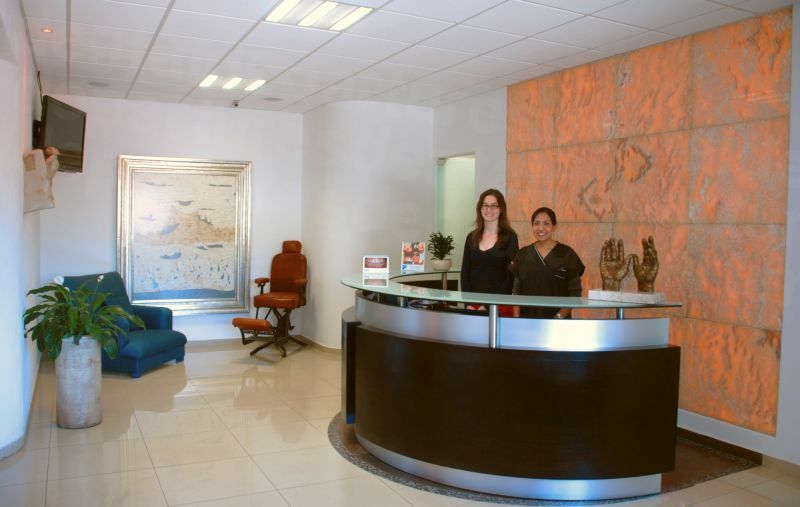 Why visit a dentist in Cuernavaca? Mexico’s beaches are a big draw to most, but we know that beach holidays aren’t necessarily for everyone. Cuernavaca offers a fantastic alternative and there is a multitude of fast and slow-paced activities to entertain all tastes and abilities. 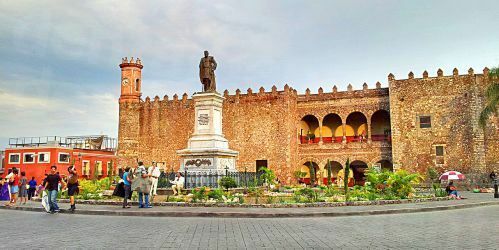 From a cultural perspective the art galleries and museums are absorbing, but Cuernavaca is surrounded by green countryside, mountains, lakes and woods which provide ample opportunities for sampling the great outdoors with both high and low-octane pastimes. As a dental patient, depending on the nature of your treatment, you may not feel up to doing much – or you may be raring for some adventure. The point is, that in Cuernavaca you will be able to participate in as much, or as little as you want. Cuernavaca is blessed with state-of-the-art medical and dental facilities, and you will feel very comfortable with the expertise and knowledge on offer. Booking a dental appointment through Dental Departures provides a safeguard on the standard of care you receive. Our verified dentists are quality-checked – so you can rest assured that they have the qualifications and training to deliver a worthy service. Our quality-control checks also look for legal issues such as malpractice claims, or complaints to regional dental associations, and we visit our clinics personally to make sure we would be happy to have our own dental care there. We understand it is important for patients traveling abroad to have as much information about their dentist, clinic and the destination to make that important decision about their overseas treatment. Dental care is scary enough, without having to worry about the quality of it. Cuernavaca’s accommodation options are varied and reasonably priced. You can book into a 5* luxury spa hotel from just over a hundred dollars per night with budget hotels from around $30 a night. Depending on the nature of your procedure many of our dentists also have arrangements with local hotels for free or discounted accommodation. Please enquire for further details. Yes. If you are one of the majority of people who does not get involved in trouble there is no reason why you won’t be perfectly safe. The State of Morelos does not appear on the US State Department’s non-essential travel warning list and most people visiting Cuernavaca feel very safe. Yes it is, but we do advise that you should choose your dentist carefully. While all dentists in Mexico undergo years of general dental training, as dentists in Western nations do, there is no formal requirement to take further ‘specialist’ training. Choosing one of Dental Departures’ verified dentists means you can be absolutely sure your dentist has the requisite training and experience to carry out the procedure you need as you can see their qualifications and training on our website. Along with virtual tours, clinic photos and real patient reviews you can get as complete a picture as possible of a dentist and clinic before you go. We know that dental treatment is scary for a lot of people, and even more so when traveling abroad. We also know there are a lot of myths surrounding dental care in Mexico and plenty of reports in the media and online about the horrific experiences some patients have suffered. While no dental care can be guaranteed 100%, you can make sure you have the best start to your treatment possible by checking out the reliability of your dentist and clinic, which we at Dental Departures have already done for you. We work closely with our dentists, and know that many of them are committed to providing trustworthy services to international patients. To demonstrate this they undertake specialist training, with many electing to do this in the United States, and also becoming members of the American Dental Association as a further means of validating their expertise. Our dentists throughout Mexico all offer warranties and guarantees on the work they perform, as well as any materials used. So, if you have prosthodontics such as dentures or crowns, these are covered under warranty. By booking with Dental Departures you also have our additional support, and we are more than happy to assist you and act as your advocate in the rare scenario that you have any problems with the work you have had done by one of our dentists. If you want complete peace of mind and cover for additional travel expenses should anything go wrong we do offer a range of low-cost insurance options so you have no need to worry about the costs. No. Most of our dentists speak English very well. Cuernavaca is home to a lot of foreigners and many people speak English. There are also a lot of students who come here to learn Spanish, and so it is not unusual to hear many different languages in the city. Payment methods vary from clinic to clinic and you can check specific details for your dentist on our website. Generally, US cash is accepted everywhere, but most clinics accept debit, credit cards and personal and traveler’s checks. Credit card payments are usually subject to a small processing fee of between 3 and 4%. If your insurance company provides ‘out-of-network’ care you will be able to reclaim the cost of your treatment when you return home. It is worth checking with your insurance provider before you travel, and making sure you obtain the appropriate forms and documentation to bring with you as your Cuernavaca dentist will need to complete these. You may be able to save money on your dental care in other ways, for example, by claiming tax deductions which are allowances in the US, Canada and Australia. These vary from year to year so it is worth checking with your tax authority. With little variation in Cuernavaca’s weather throughout the year, it really is a year-round destination and so you can visit our dentists at any time. There are times when it is busier than usual, so you may want to tailor your trip accordingly. Holiday times, such as Christmas, Easter and Mexican Independence Day are especially busy, and weekends generally are too. It is always advisable to book accommodation in advance. Cuernavaca’s terrain could be described as rugged, and getting about in a wheelchair may be problematical. Sidewalks are narrow and broken and cobblestone paths, narrow doorways and no ramps at your destination makes wheelchair access particularly difficult. That said, there are plenty of hotels with wheelchair access, and if you can get in and out of a taxi you can get around that way – there are always plenty readily available. Most of our dental clinics are wheelchair-friendly and we can always find ways of getting you to and from one of our great dentists – just get in touch with us to discuss your situation and we’ll see what we can do. There are no dangers or annoyances that are particular to Cuernavaca – just make sure that you keep your eye on personal belongings as you would in any other city – opportunistic thieves are in operation wherever you go on the planet! 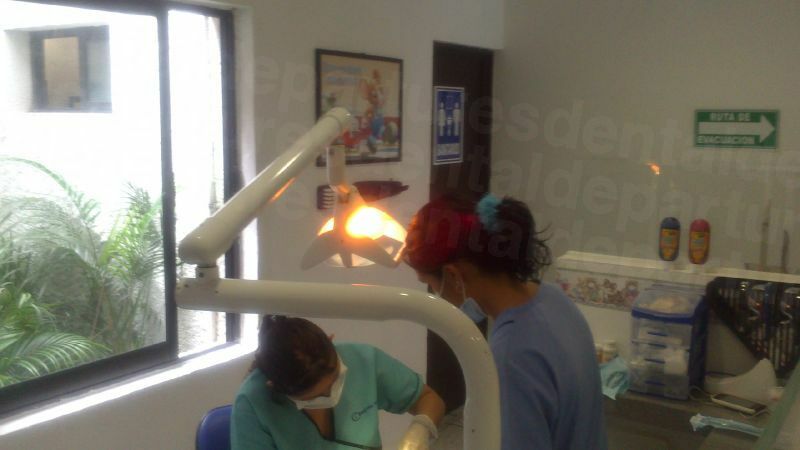 Dental patients need to be aware that sedation dentistry is not standard in Mexico. If you are of a nervous disposition or are having major treatment where you would prefer to be sedated our dentists can arrange this, but you will need to request it in advance. It also carries on additional fee of around $400 as the services of an anesthetist will need to be booked. 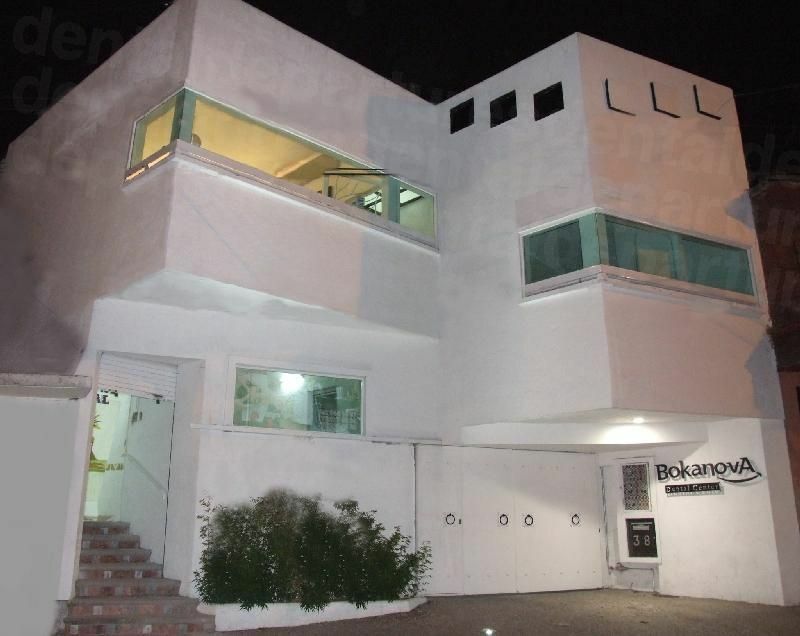 Within Cuernavaca there are plenty of sights to see in town. The impressive and historic buildings, such as the Cathedral and its large high-walled recinto (compound) and the Palacio de Cortes are must-sees. For relaxing there is the Jardin Borda, inspired by Versailles, and the smaller Jardin Juarez where live concerts take place in the central gazebo which was designed by Gustave Eiffel, the engineer behind the Eiffel Tower in Paris. The Museo Robert Brady houses decorative arts from around the world, collected by the museum’s namesake on his travels, and art lovers will adore Centro Cultural Muros with restored murals, paintings, sculptures and photographs. Two events worth being in Cuernavaca for are Carnaval which takes place on the five days leading up to Ash Wednesday (usually late February to early March), and Feria de la Primavera (late March to early April). The former features colorful celebrations featuring street performances, parades and art exhibits and the latter is the city’s Spring Fair which includes an exhibit of spring flowers as well as concerts and artistic and cultural events. The countryside surrounding Cuernavaca is host to numerous activities for the outdoor types. In Yautepec you can enjoy hot-air ballooning, flying over the ancient Tepoztlan temple. The Amacuzac River possesses class I, III and IV rapids and is great for white-water rafting and for underwater explorers the Agua Brava caves and subterranean river Chontalcoatlan is popular. 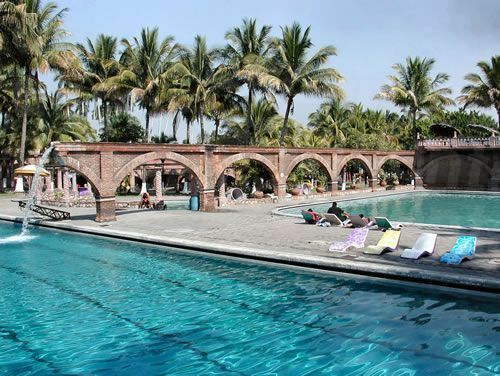 Cuernavaca may be inland but there are a number of water parks throughout the area, including Falls Water Park and Real St Nicholas which are perfect for cooling off and topping up your tan. From high-adrenaline to low-key and relaxing, Cuernavaca has something for everyone. Dental patients can feel relaxed knowing that if they are not feeling up to doing much they will be able to find some peace and tranquility, but will find plenty to do when they are raring to go. The nearest international airport is Mexico City’s Benito Juarez International Airport. It’s around 57 miles (89 kms) away, taking around an hour to drive on Highway 95D. BUS: Besides driving a car you can get a luxury bus from the airport in Mexico City. The journey takes an hour and is the most common way of getting to Cuernavaca after driving yourself. CAR RENTAL: A popular way of seeing the area around Cuernavaca, giving you the flexibility to go where and when you want. The usual international car hire firms have desks at the airport. TAXI: Taxis in Mexico are a lot more affordable than they are in the US, Canada and Europe and are a viable way of getting around. They are rarely metered in the colonial cities so make sure you negotiate a price before getting in. Book an appointment online or call us toll-free. You can get free quotes, view clinic photos, take virtual tours, read real patient reviews and find exclusive promotions on our website. 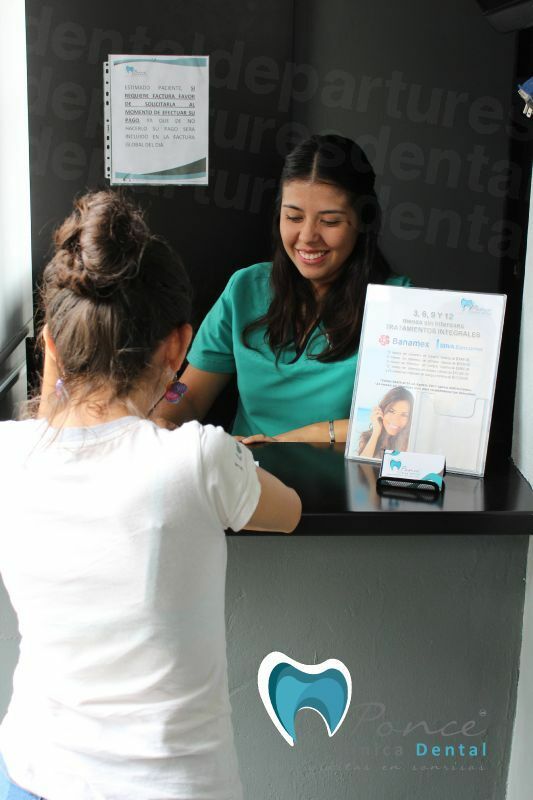 Save a fortune and discover great-quality dental care in Cuernavaca with Dental Departures.